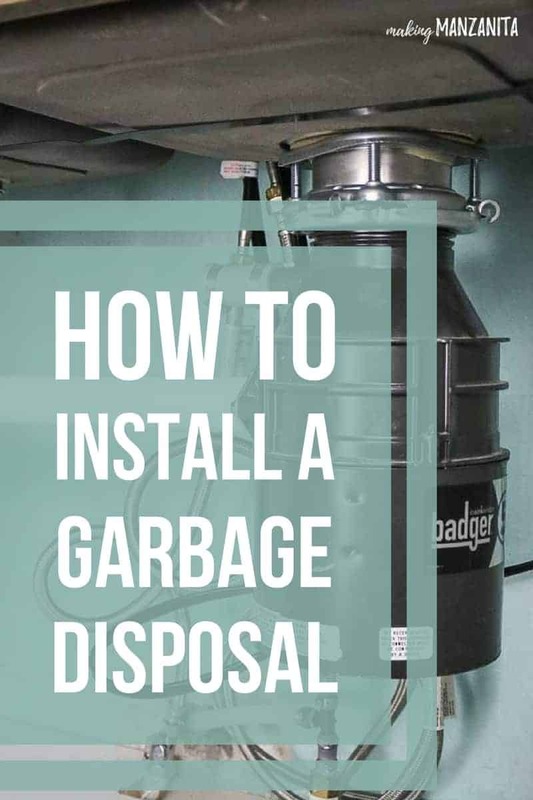 If you need to replace your old garbage disposal or install a Badger garbage disposal, this tutorial is just for you! 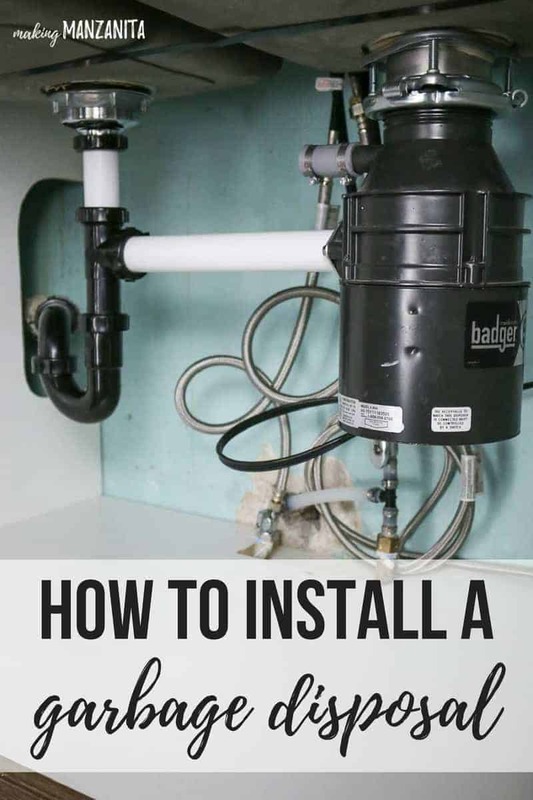 This step by step tutorial will walk you through how to install a Badger garbage disposal so you can save hundreds of dollars on this simple plumbing job. This Badger garbage disposal installation tutorial contains affiliate links, but nothing that I wouldn’t wholeheartedly recommend anyway! Read my full disclosure here. One of the things I was really looking forward to when we moved into our new fixer upper was being able to install a garbage disposal. You see, at our old house, we were on the septic system and so we weren’t able to have a garbage disposal. It’s one of those things you don’t really appreciate until it’s gone! Logan is always on the hunt for good finds at our local Restore for Habitat for Humanity. He found this barely used Badger garbage disposal for a fraction of the full price cost (He thinks he paid about $15!). 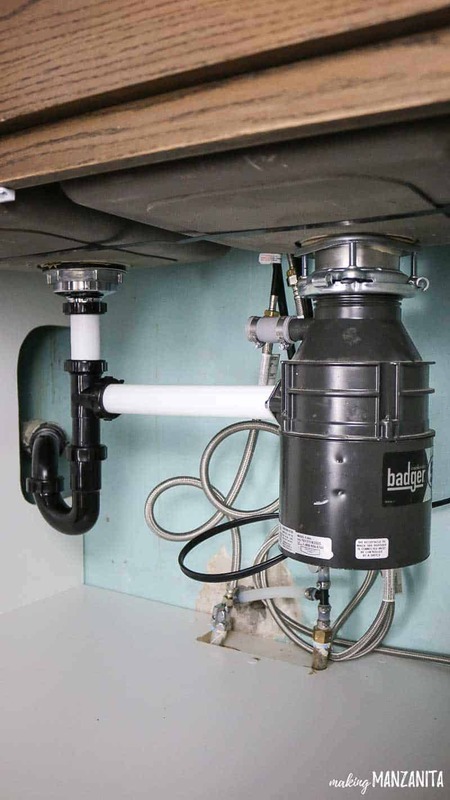 Even if you need to buy a brand new garbage disposal this Badger garbage disposal only costs $109 brand new and has great reviews. 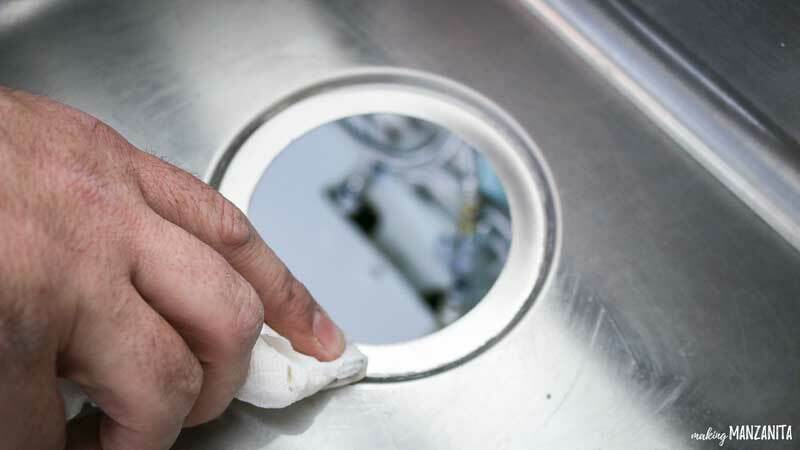 The installation process for the new garbage disposal was relatively simple. I’m so glad Logan has the knowledge of these everyday home ownership DIYs after working years in the property management/maintenance field. Most of all, I’m so grateful that we’re able to pass this knowledge onto you so you can save money on your home by doing it yourself too! This isn’t the typical pretty home decor post you normally see from me…but Making Manzanita is all about making your house a home you love. And….a lot of times that comes with the simple efficiencies that we can add to our homes…like garbage disposals. One of my goals for you guys is to empower and teach you these simple DIYs (the home ownership tools of the trade) so you can save money! That means instead of paying a plumber, there’s more money in your pocket for fun renovations and fun things like cute throw pillows 😉 ….because we all need more throw pillows, right? Be sure to follow your manufacturer’s specific instructions for installation and safety. Check to see if you need a permit for this installation. Be sure to observe any building and electrical codes. Lastly, be sure to contact a licensed electrician if you have doubts or questions about the electrical connections in your home. Before you get started installing garbage disposal, be sure to clean the area under the sink and clear out the sink of any debris. Place a towel under the sink to catch any water that may fall down when you’re installing the new garbage disposal. Step 2. Unplug old garbage disposal (if necessary). 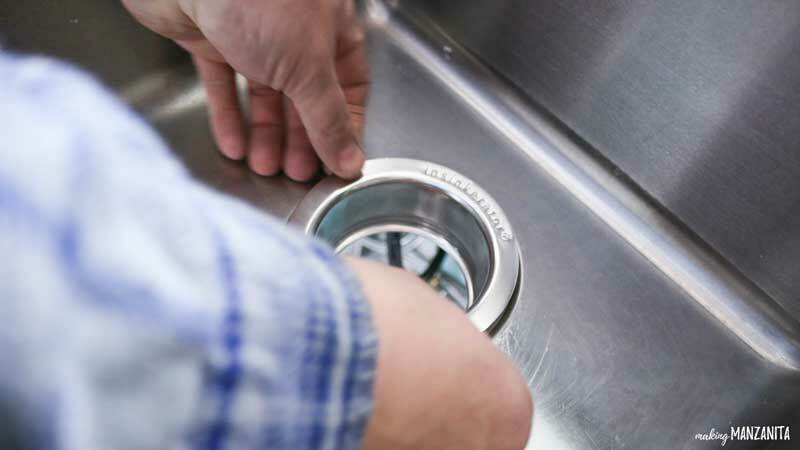 If you are replacing an old garbage disposal, unplug the disposal before beginning. We did not have a garbage disposal to begin with. If you don’t see a plug under your kitchen sink, be sure to turn off the electricity to the disposal on your power circuit box. 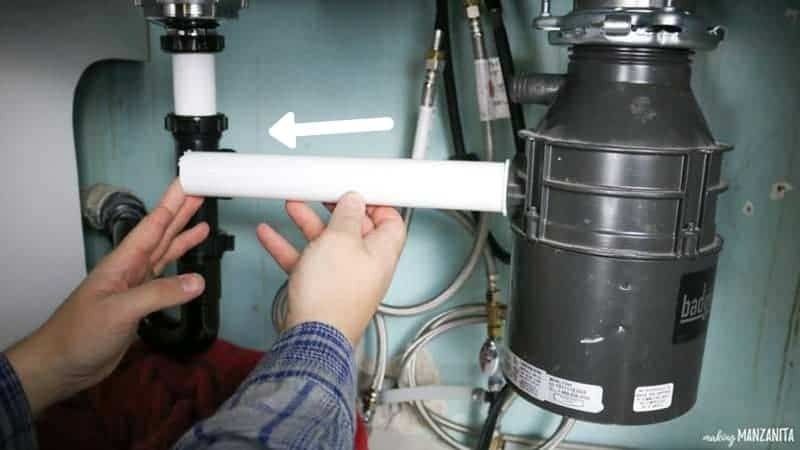 First, disconnect the tailpiece connected to the sink drain (or your old garbage disposal if you are just changing garbage disposal). The tailpiece is the plumbing pipe going horizontal between the two sides of the kitchen sink. 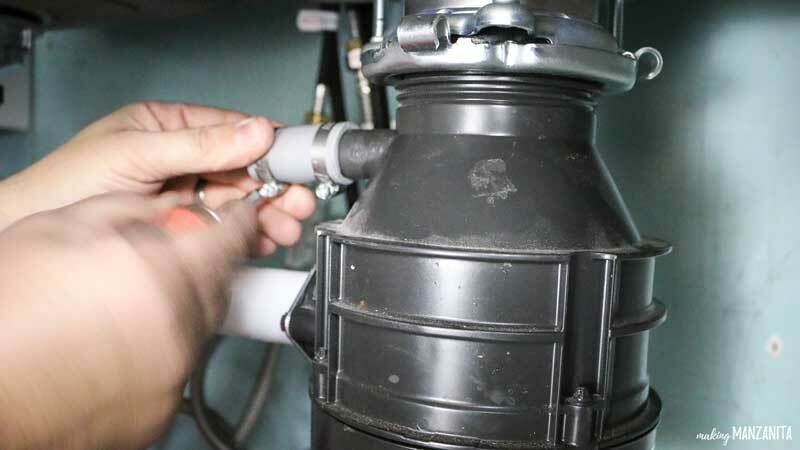 If you are changing garbage disposal that is connected to your dishwasher, you will also need to disconnect that. Step 4. Unscrew your sink drain and remove. 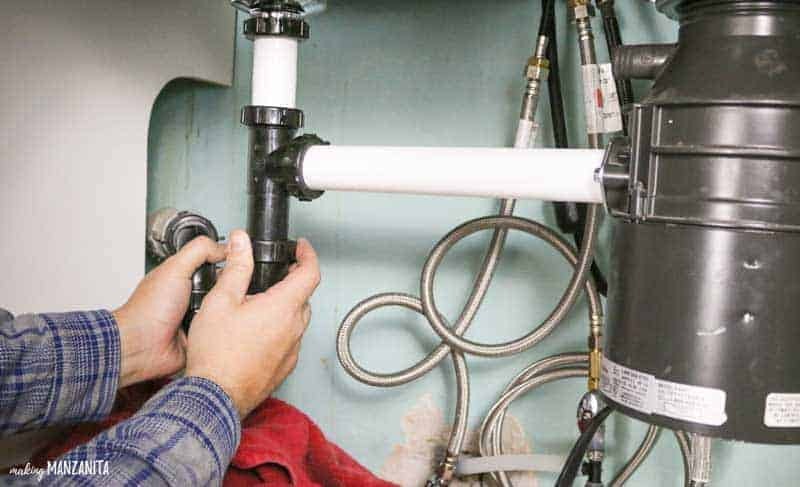 Once everything is disconnected, you can simply unscrew your old sink drain and remove. Again, if you are replacing an old garbage disposal, you will turn the old mounting ring counter clockwise to remove the garbage disposal. Step 5. Remove old plumber’s putty from sink. Once the sink drain (also known as flange) has been removed, you’ll probably notice old plumber’s putty. Thoroughly scrub out any plumber’s putty that may be remaining, You can gently scrap off plumber’s putty with a putty knife or use 0000 extra fine wire wool to remove stubborn putty. Step 6. Install new drain in sink. Take the new drain/flange off of the new garbage disposal. 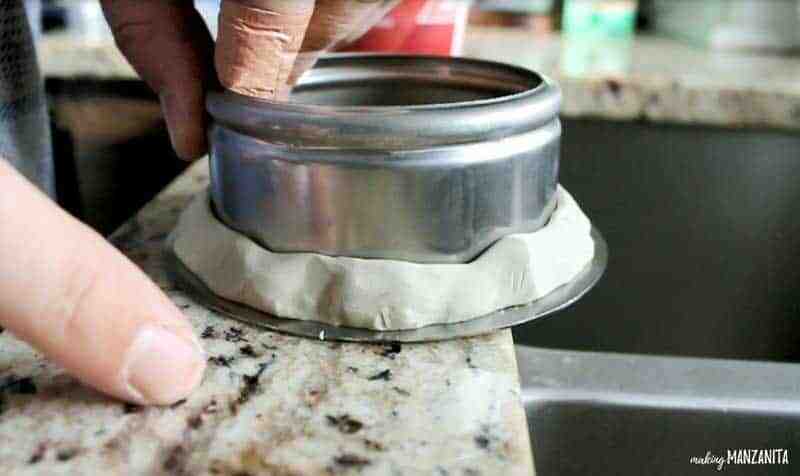 Roll out Plumber’s Putty into a 3/4″ rope and surround underside of drain where threads meet the rim. This will seal the drain to your sink. Next, set your drain into the center of your sink drain hole. If you’re a perfectionist, make sure you pay attention to how the labels are facing on your drain. That would drive me crazy if those weren’t straight on. Firmly press down until you see putty start popping out around every edge of the new drain. Don’t worry about wiping off excess putty right now. Step 7. Install mounting pieces to bottom of drain. 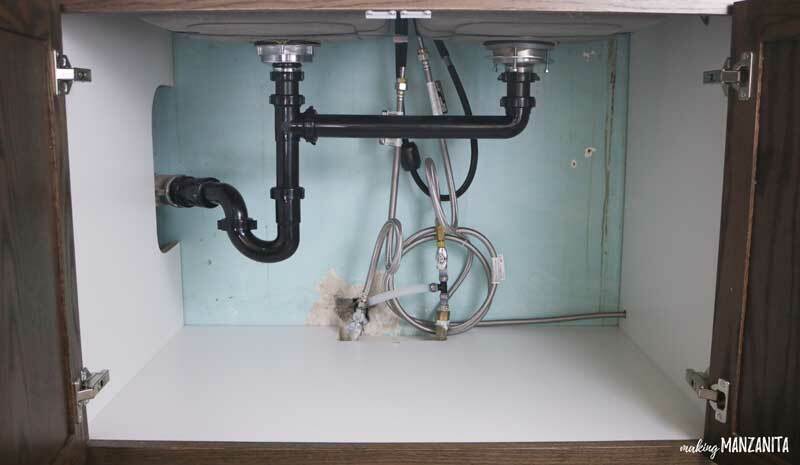 To give your new drain a little weight to stay in place while you work below the sink, you can place your garbage disposal on top of the drain that you just pressed into place. 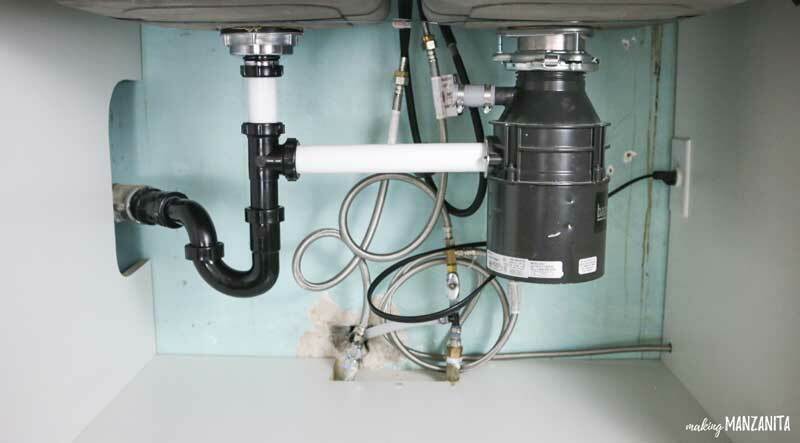 Finish assembling your garbage disposal drain underneath the sink. You should have a flange, mounting ring and snap ring. Be sure you screw in the screws evenly on the mounting ring to get an even seal. Tighten each screw a little bit at a time and do not favor one screw more than the others. 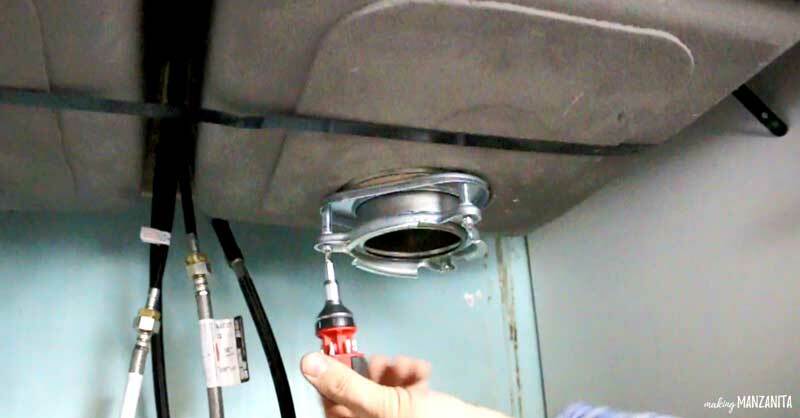 Hold everything on the drain assembly in place while you put the snap ring on to the flange until you hear it click. Step 8. Remove excess putty from sink. You can now take the weight off of the drain and remove any excess putty and clean the area. Step 9. Install Badger garbage disposal. 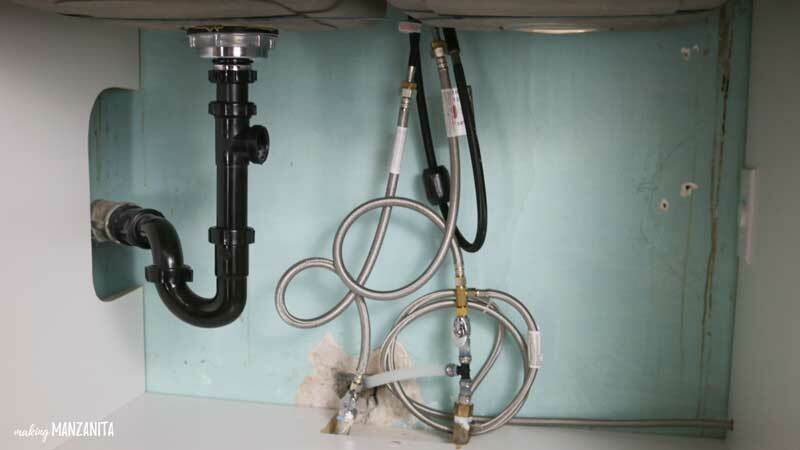 Now it’s time to install garbage disposal under your kitchen sink. 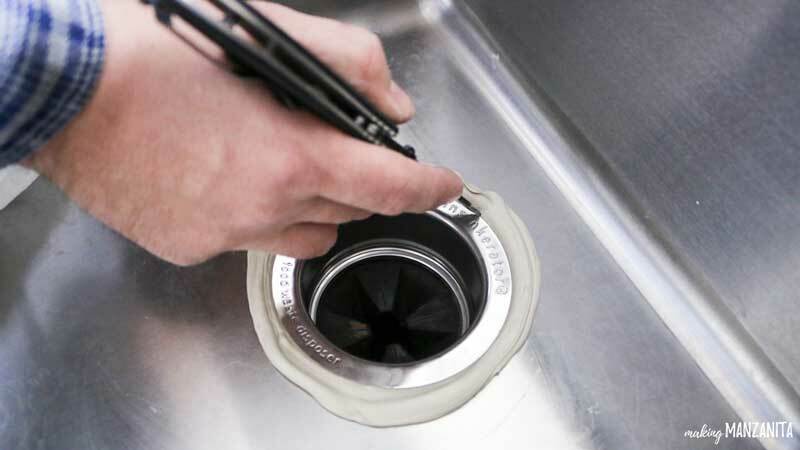 Align the drain on the Badger 5 Garbage Disposal with drain assembly. 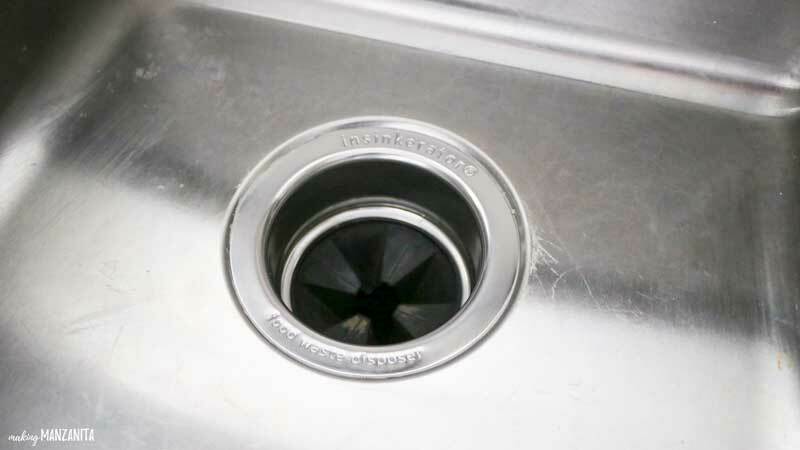 Turn the little mounting tabs on clockwise until your new garbage disposal clicks into place on the mounting ring. Our garbage disposal came with a cord ready to plug in. If yours doesn’t, you will need to remove the plate on the bottom of the disposal and hook up the wires. Follow your manufacturer’s instructions for this step if necessary. You may be need to measure and cut a new Flanged Tailpiece to the proper length to attach to the rest of the plumbing under your sink. Be sure that the tailpiece you’re installing to the garbage disposal is at a slight down angle moving towards the other side of the sink. 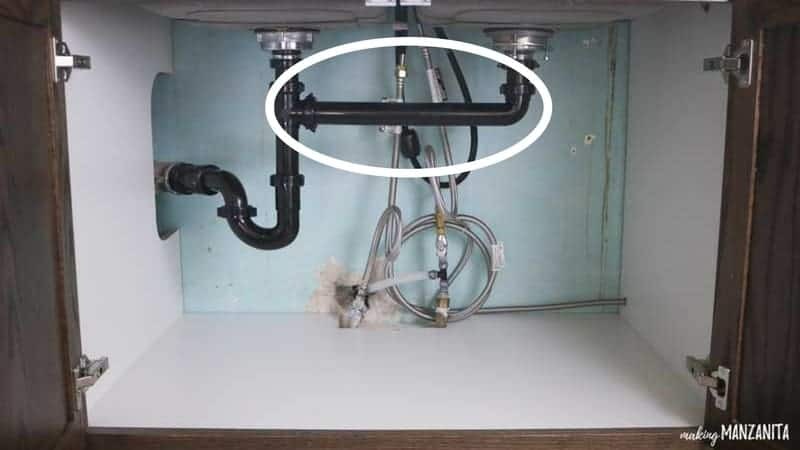 We had to make some adjustments to the other side of the sink’s plumbing to ensure this slight down angle (which are the new white plumbing pipes you see). Step 11. Install plug (or dishwasher connection hose). If you don’t have a dishwasher, you should probably just buy a garbage disposal without the place for the dishwasher hose to go. Since we don’t have a dishwasher, we installed a plug where the dishwasher hose would go for now. But, stay tuned because we just got a new dishwasher and will be installing it real soon on our island. I can’t wait!! If you have a dishwasher, you would want to connect with with a dishwasher connection kit like this. Step 12. Secure all fittings. Tighten all compression fittings. Do a quarter turn on all fittings once you hand tighten them. Do not over tighten or else you will create leaks. Step 13. Plug in and test Badger garbage disposal. Plug in your Badger garbage disposal and test in with cold water. Ensure there are no leaks. Simple as that! It took us about 30 minutes to install this Badger garbage disposal ourselves. Not to mention, we were able to save hundreds of dollars by DIYing it. 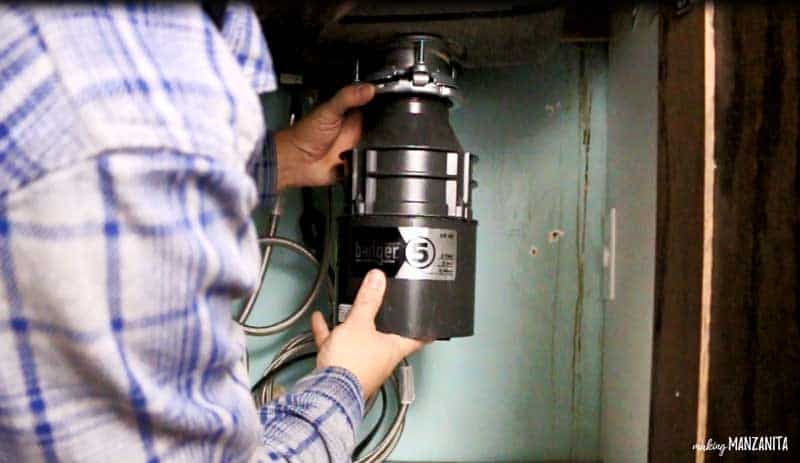 Installing a new garbage disposal is a job that an experienced DIYer can definitely take on themselves. Looking for more helpful resources about garbage disposals?? Here’s a quick video that walks you through the installation process! If you love videos, don’t forget to check out my video page. 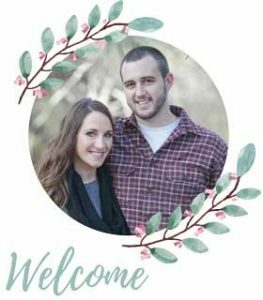 Thanks for putting together this guide! I just got done installing this disposal and having your guide to follow along with surely made it much less of a headache than it would’ve been without it.